If there’s nothing that excites you more than diversity, Malaysia should be on the top of your wish list. This culturally rich country is evident in many aspects such as buildings, food, and religion. Although it may sometimes be overlooked, Malaysia is a booming country where many culture, beliefs, and cuisines fuse together to create a one of a kind place unlike anything you’ve visited before. The country is slowly creeping into way into becoming the favorite of travelers. Not only is it easy to go around the place, there is also an abundance of English signs and people who speak English well. Additionally, Malaysia is known for being one of the cheapest countries to travel to. Whether you want to visit its rugged mountains which tower over the metropolis, the slopes covered with rainforest, or its bustling urban cities, Malaysia is the perfect place for your next holiday. Here’s everything you need to know about the country’s culture and history. Malaysia is a small country which has a land area of 330 thousand square kilometers, and a population of almost 31 million people. Its national language is Malay. However, many people also speak Tamil, Chinese, and English. It is located on in Southeast Asia and lies just above the equator between Thailand, Indonesia, and Singapore. The country is made up of two noncontiguous regions namely, West Malaysia or Malaysia Barat, and East Malaysia or Malaysia Timur, or the island of Borneo. 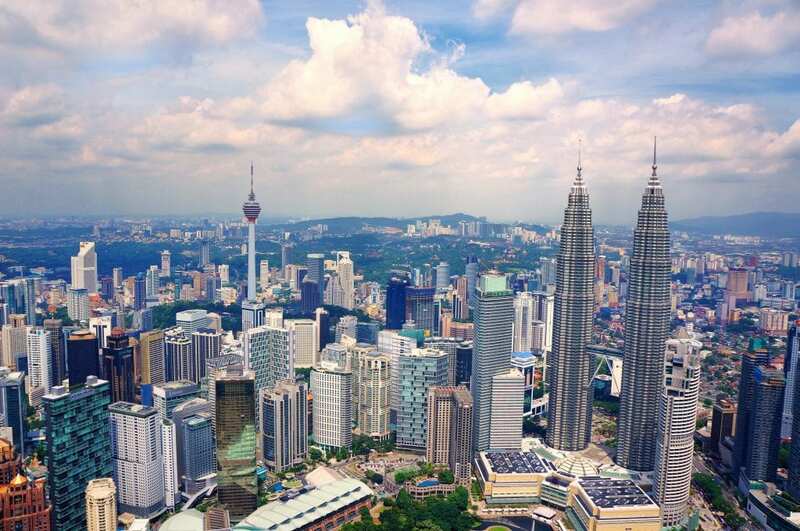 The capital of Malaysia is Kuala Lumpur, a bubbling melting pot of the Malays, Indians, Chinese, and other ethnic groups. The city is located around 25 miles from the coast in the western part of the country. Putrajaya, its administrative center, is just 16 miles from the capital city. Malaysia was established in 1963. During this time, the member territories were Singapore, Sarawak and Sabah in northern Borneo, and Malaya or Peninsular Malaysia. However, Singapore was removed from the federation in August 1965 because of ethnic riots due to Chinese influences on the land. Stone Age hunters and gatherers arrived in Malaya in 8,000 B.C. However, the first people in the territory was displaced by stone age farmers. These people cultivated the land of Malaysia and used its agricultural potential as they practiced the slash and burn method. Malaysia is known as a former British colony but before the Europeans took control over it, Malaysia was ruled by great empires, the Srivijaya and Majapahit Kingdoms, and the Melaka Sultanate. It was also shortly after this time when Hinduism and Buddhism were introduced to the people. The early reigns marked civilization due to the influenced by India. Meanwhile, Arab traders introduced Islam to the territory during the Melaka Sultanate. In the 16th century, the Portuguese established settlements around Malacca after they seized the Sultanate. However, they were overthrown by the Dutch. Then, the British set up colonies in Penang and gained power over other parts of the region, including Singapore. The Dutch surrendered most of their former colonies to the British. In return, the British gave up its colonies in Indonesia. This agreement resulted in the Anglo-Dutch Treaty of 1824. 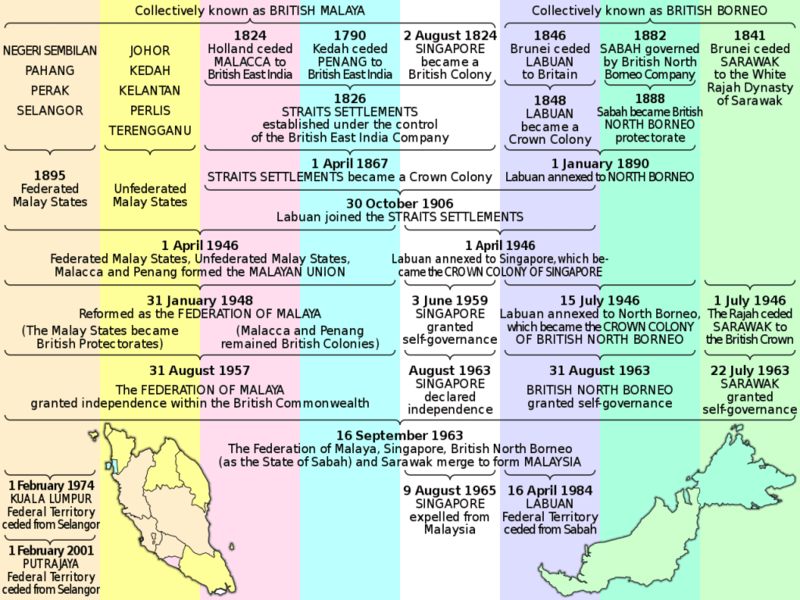 Malaysia was mostly governed by Britain before WWII, including the Federated and Unfederated Malay States, Kingdom of Sarawak, Brunei, and Northern Borneo. During the WWII, British forces lost their territories to the Japanese and only gained it back in 1945. Malaysia finally gained its independence from Britain in 1957. For the first years of its independence, it was called Malaya. However, this changed in 1963 when Malaysia was finally established. The parliament of Malaysia was reconvened in 1971 as its government adopted an economic policy which became successful. In the late 20th century, the country transformed itself from being a poor and challenged agricultural country to one of the richest industrial nations. The living situations of Malaysians also rose. The country enacted a new development policy in place of the economic policy in 1991. Although Malaysia is a great destination for tourists, its economy does not solely depend on it. Contrary to what many people think, Malaysia is not a third world country. It is home to towering buildings, luxurious hotels and shopping malls, and a modern-day light rail transit system. Although the quality of life is better in the capital, its other towns are still developed. Malaysia’s government is also controlled by the king, a position which interchanges among hereditary Malay rulers every five years. The head royal selects someone from the leading parliament coalition to fill the position of Prime Minister. The influence of the Dutch, British, ancient Malay, Hindu, and Portuguese can still be felt in the country. This has resulted in diversity in food, language, religion, and architecture. The country’s most important center of the social structure is families. Because of this, there is a focus on loyalty and respect for older people. Because families are very close, living with extended families throughout the country is common. The labor migration policies of Britain resulted in a wave of Indian and Chinese laborers. Now, over 30% of the country’s population are descendants of these migrant workers. Recently, Malaysia controversially released a ‘National Cultural Policy’ which aims to develop the cultural identity of the country. Notably, the said policy caused conflict especially with the non-Malays. 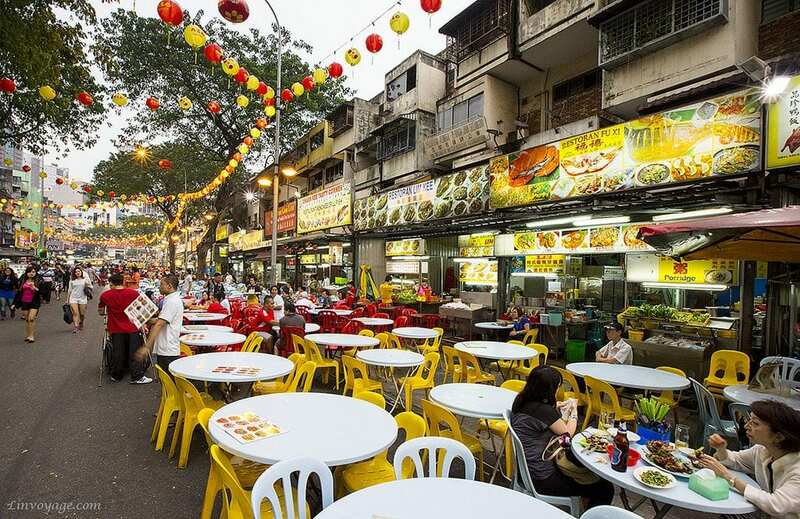 Because of the country’s diversity, Malaysia offers some of the finest cuisines in the world. The Chinese, Malay, European, and Indian cooking all blend together to form cohesive dishes. Some of the food elements that are staples in each Malaysian dining table are noodles and rice. Additionally, people in the area love spicy dishes. Furthermore, because the land in Malaysia is for planting, it is abundant in tropical fruits such as durian, which is famous all over the world for its odor. According to people who have tasted it, it smells like hell but it tastes like heaven. Meat and processed foods are also common in the region. Malaysia’s diversity can also be obvious through its food restrictions. For example, Muslims are not allowed to eat pork, a favorite among many Chinese people. On the other hand, many Buddhists are vegetarian and the Hindus are prohibited to eat beef. The global need to tin and rubber gave Malaysia leverage over many countries. Less than 50 years ago, its government extended its economy thanks to big oil exports. Additionally, Malaysia boasts thriving automotive businesses and technology sectors. The country is also a big exporter of petroleum, hardwoods, and oil. The country’s name was derived from the word Melayu, which came from the Sungai Melayu, or Melayu River in Sumatra. The name’s origin is connected to the Tamil word, Malai, which means hill. The local time in the region has been adjusted eight times. The last adjustment on its name happened in January 1982 when its prime minister decided that the country should follow Sarawak and Sabah’s time. A small tree which deep roots called Tongkat Ali grows in the country. This plant is referred to as Malay Viagra because it has been found out to have testosterone-like effects on mice. Currently, the plant’s extract is being utilized as drinks marketed to men. Petronas towers located in Malaysia’s capital, Kuala Lumpur were considered as the tallest buildings in the world from 1998 to 2004. These buildings are connected through a sky bridge on its 41st floor. Currently, the buildings are still regarded as the world’s tallest twin buildings. Malaysia is not dubbed as The Land of Beautiful Islands for nothing. The country is indeed one of Asia’s most prized gem. Here, travelers will never run out of things to do because there’s always something to explore on every corner. So what are you waiting for? Head over to Malaysia to see something truly Asia.